The Oz Comic-Con 2013, Pop Culture and Fan Expo, is coming back to the shores of Australia. After very successful shows in previous years Oz Comic-Con will again be held in Adelaide and Melbourne and for the first time ever in Perth. There will be loads of fun activities, events, competitions, special events and exhibits - more than enough to keep you busy for the whole weekend. Running in different states between March and July, 2013, the convention showcases everything Science-Fiction, Fantasy and Pop Culture in film, TV, comics, books, anime, games and collectables. There will be special celebrity guests, different ones in each state, exhibitions, competitions and activities, loads to do and loads of fun for everyone. These hugely popular Oz Comic-Con Expos attract thousands of people each year. Not only fans, but exhibitors, artist and writers flock to these conventions to meet like-minded people and explore the worlds of Science-Fiction, Fantasy and Pop Culture. Perth: Perth Convention and Exhibition Centre. Saturday 9th and Sunday 10th March, 2013. 9am till 6pm. Adelaide: Adelaide Showgrounds. Saturday 16th and Sunday 17th March, 2013. 9am till 6pm. Melbourne: Royal Exhibition Building. Saturday 6th and Sunday 7th July, 2013. 9am till 6pm. 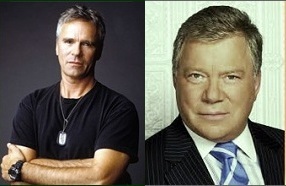 These are some of the confirmed guests that will be appearing at the Oz Comic-Con 2013 Conventions. Others are still to be announced. The Organisers of Oz Comic-Con 2013 are looking for lots of Volunteers to assist with this years expo. If you are over the age of sixteen, helpful and enthusiastic, and think this is something you would like to do, sign up now. 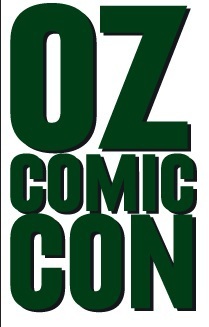 Tickets for Oz Comic-Con 2013 are available from Ticketmaster. Tickets will cost $20.00 per person for adults, $10.00 per person for children (5 to 12 years of age) and children under the age of 4 years of age will be admitted free. There will be Weekend Passes and Platinum Tickets available at varying prices. Tickets will also be available for sale at the door on the day of the convention. So, if you are a fan of Science-Fiction and pop culture, check out the Oz Comic-Con 2013 Expo in your state. Collect a few autographs, have a photo taken with your favourite celebrity guest, meet writers, artists and voice actors, play games or get into cosplay. This not to be missed event sounds like heaps of fun.